The primary subject matter of this blog is the private life of William Pitt the younger, however it is important to explore his antecedents - particularly his illustrious father's political career - in order to understand the context of Pitt's diplomatic upbringing. One of the main ways this can be done is by investigating the friendships and influential people who shaped the life of William Pitt the Elder before he became the Earl of Chatham. Ralph Allen's patronage of Pitt the Elder calls for a special mention. Ralph Allen (1694-1763) was a great 18th century philanthropist, reformer of the British postal system, Postmaster, and one-time Mayor of Bath. Indeed, Allen can rightly be said to have built the Georgian city of Bath, as he was heavily involved in the quarrying of the famous Portland stone (Portland, named after the coastal town near Weymouth where the stone originates) used in the building of that city and others throughout eighteenth-century England. Although Allen was only Mayor of Bath in 1742, his widespread political influence in the Town Council was far-reaching . Allen was an active force behind the Mayor and Corporation of Bath during the 1750s and early 1760s. Indeed, it was largely due to Pitt's friendship with Allen that Pitt, at the invitation of the Corporation, resigned his seat at Okehampton in order to become MP (Member of Parliament) for Bath in 1757 . Pitt was even unanimously re-elected for the same seat in the General Election of 1761; this was largely due to Allen's exercise of power and patronage. The "Great Commoner," as Pitt was known before his elevation to the Peerage in 1766, was very thankful to his friend - and benefactor - Ralph Allen. Allen had a summer residence built for him at Weymouth around the year 1750. 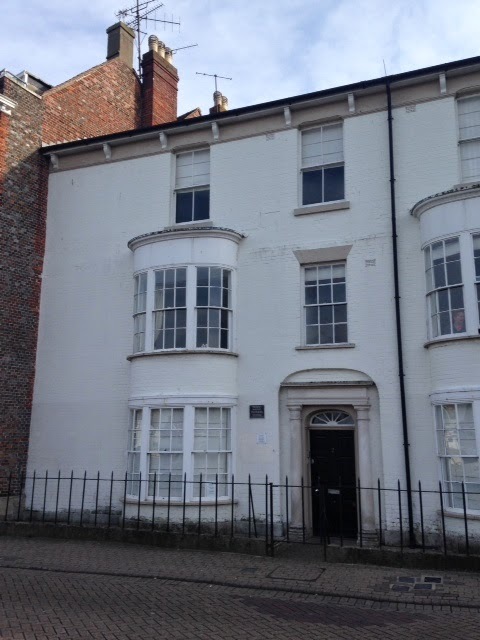 It is located at Number 2 Trinity Street, and is positioned in a prime location on Weymouth harbour. I visited Weymouth recently, and had an opportunity of seeing and photographing Allen's former retreat. Two years later, Pitt became the first Earl of Chatham. There is no doubt that Allen's patronage and kindness - although he did not live to see the result - contributed to Pitt's later elevation. 1. Barbeau, A. (1904) Life & Letters at Bath in the Eighteenth Century. Stroud: The History Press, p. 227. 2. Barbeau, A. (1904) Life & Letters at Bath in the Eighteenth Century. Stroud: The History Press, p. 226. 4. Correspondence of William Pitt, Earl of Chatham, Volume 2. (1838) London: John Murray, pp. 289-290. 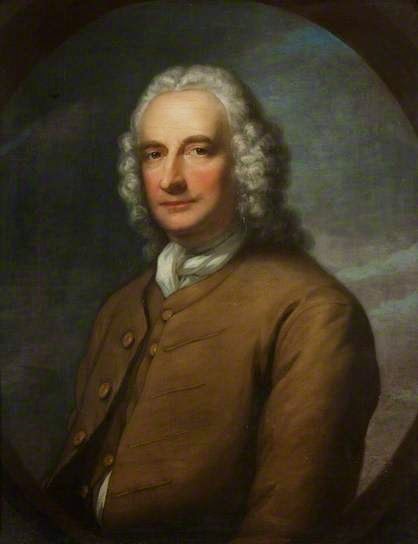 Figure 1: Ralph Allen by William Hoare, c. 1742. Image Source. It can be seen at The Royal National Mineral Water Hospital for Rheumatic Diseases in Bath, Somerset. Figure 2: A plaque on the frontage of Ralph Allen's summer residence (from 1750-1763) at Weymouth, Dorset (my photo). Figure 3: Ralph Allen's summer residence at Weymouth (my photo). How interesting to learn that Ralph Allen was friends with William Pitt the Elder. I blogged about Allen because of his Weymouth connection. I discovered that his house was actually 2 and 2a Trinity Road (Trinity Street starts round the corner). His house was later used as a girls' boarding school and later still, it was separated into two houses and the frontage was altered.